2014 Funko Adventure Time Mystery Minis put a couple of new spins on the blind box figure line. While it's still about the figures, it comes with a simplified lineup and a new style of Mystery Mini packaging that is collectible in its own right. 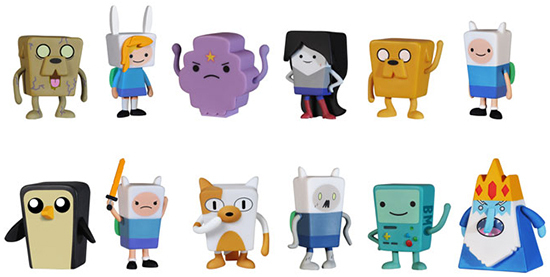 The 2014 Adventure Time Mystery Minis lineup comes with 12 figures, including several different versions of lead characters Finn and Jake. The Ice King, Marceline and Fiona are among the other characters in the set. All have a 1:12 rarity, making an even print run. This differs from the short prints found in other Mystery Minis lines like Game of Thrones and The Walking Dead. 2014 Funko Adventure Time Mystery Minis figures stand 2 1/2" tall while tins are 4". Adventure Time Funko Mystery Minis LOT! 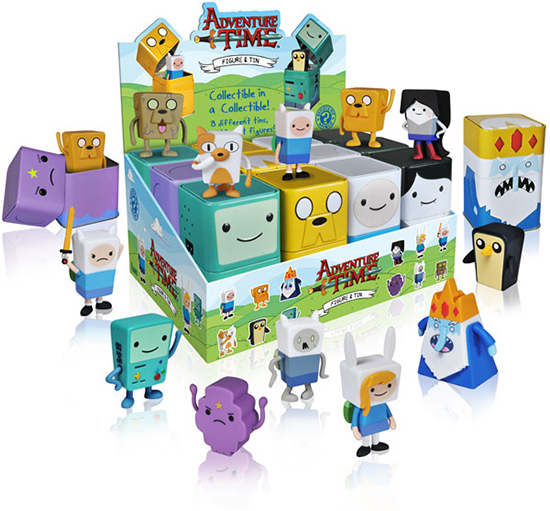 Hi I was wondering if the adventure time mystery minis are sold any where in Canada and if so in what stores and . margaret mcinnis � If you have a comic shop near by, that’d be your best bet. Otherwise, they’re on eBay.